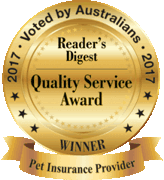 The satisfaction of our policy holders is extremely important to RSPCA Pet Insurance. If you have any concerns about our products or services or wish to dispute the outcome of a decision, we will do our best to work with you to resolve it. You can get in touch with us by calling one of our trained consultants on 1300 855 150. If, after speaking to our team, you are still not happy with the outcome, the matter will be escalated to the Manager of the relevant department who will call you within 2 business days. Remember to provide us with your name, policy number and full details relating to your complaint. Your concerns will be investigated by our Internal Dispute Resolution Committee and, provided that we have all the necessary information, we will inform you of the outcome within 15 working days of receiving your letter, email or phone call. 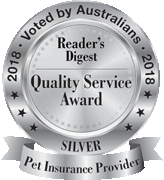 If the Internal Dispute Resolution Committee does not resolve the matter to your satisfaction, you may refer the matter for review to the Australian Financial Complaints Authority (AFCA), within 2 years of the date of our final decision letter. AFCA is an independent external dispute resolution service available free of charge to our policyholders and AFCA can advise you whether your dispute is one which falls within their terms of reference.